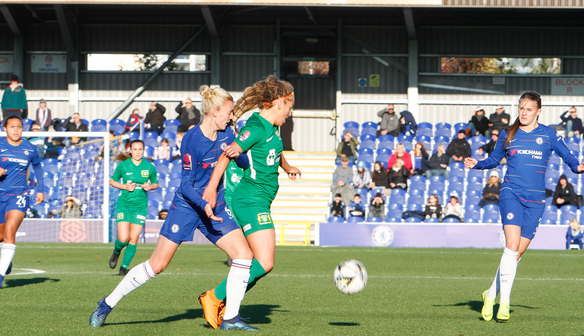 Yeovil Town Ladies' match at home to Chelsea Women has been rearranged. The match was previously scheduled for Easter Sunday - April 21 - but due to the Blues' Champions League involvement, the match has had to be rearranged for Tuesday 7th May. Kick off will be at 7:45pm at Dorchester Town Football Club. Any tickets will still be valid for the rearranged fixture. However, if you have already booked and can no longer make the match, please contact andy.bevins@yeoviltownladies.com who will arrange a refund. This match is the club's dedicated Kick It Out match and all players will be promoting the message of the organisation - that racism has no place in football.